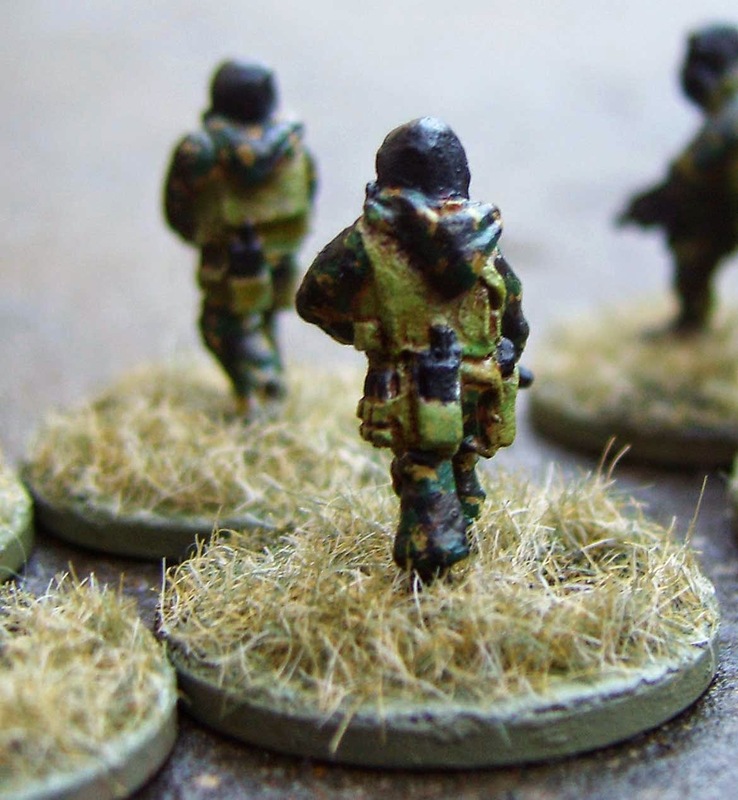 Another group of 15mm scale figures for the zombie apocalypse - British SAS / special forces. I have my riot police underway, & plan to add both regular police (who have been armed due to the crisis) & an armed response unit. However, I fancied some heavy-duty opposition for the infected hordes, & these SAS from Rebel Minis seemed just the thing. I've had the figures for a while, & was thinking of going with yellow or orange boiler suits with black body armour; & then for a while I was going to paint them in the blue boiler suits & black armour of the famous SAS Counter-Revolutionary Wing - before ditching the idea as being too similar to the uniforms of all the police units that I have planned, as well as being a very specific unit with limited uses in a zombocalypse. Cheers, Barks. Painting the camo was fiddly, but I'm pleased with the result.